Today, the new Webmaster Academy goes live in 22 languages! New or beginner webmasters speaking a multitude of languages can now learn the fundamentals of making a great site, providing an enjoyable user experience, and ranking well in search results. And if you think you’re already familiar with these topics, take the quizzes at the end of each module to prove it :). 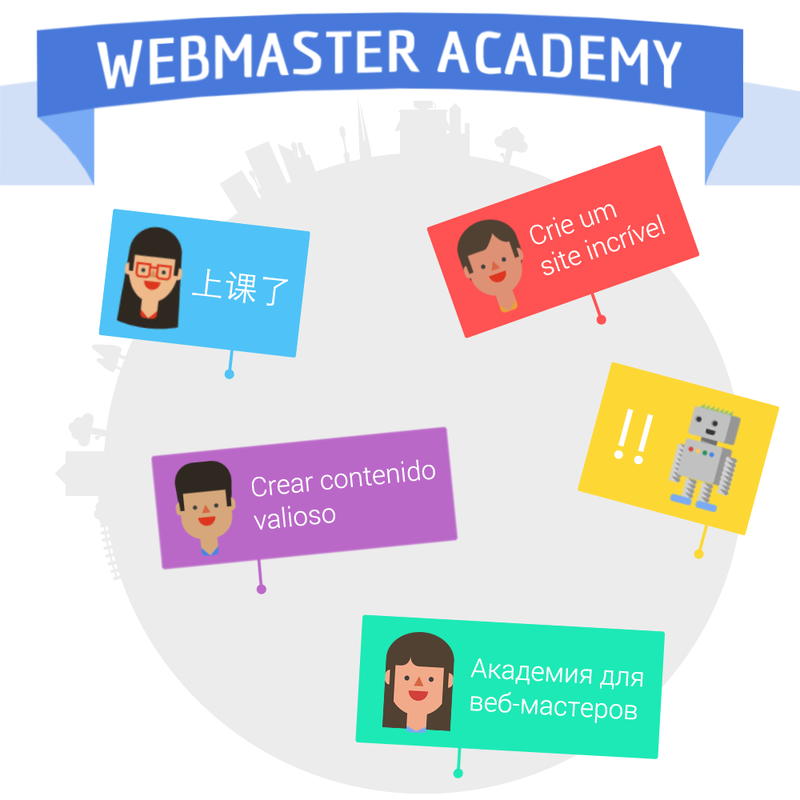 So give Webmaster Academy a read in your preferred language and let us know in the comments or help forum what you think. We’ve gotten such great and helpful feedback after the English version launched this past March so we hope this straightforward and easy-to-read guide can be helpful (and fun!) to everyone. Let’s get great sites and searchable content up and running around the world.